HMH Books for Young Readers, 9780544586178, 96pp. * "Lively, dynamic sketching gives the artwork a sense of urgency and immediacy. It is as important to tell the story of a nation's failures as it is to record its triumphs, and this is a crucial contribution." 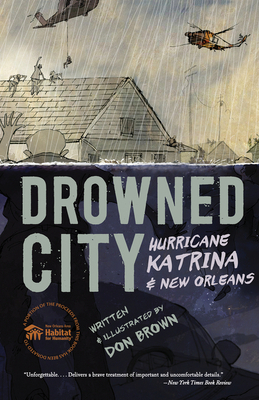 * "This astonishingly powerful look at one of America's worst disasters is a masterful blend of story and art." * "If a book's power were measured like a storm's, this would be category five."